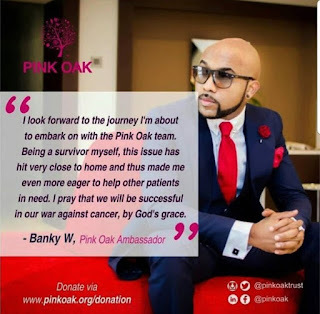 Pink Oak Cancer Trust, A Nonprofitable organization which their aim is to fund cancer treatment in Nigeria signed Nigeria Music Celebrity Bankole Wellington well known has Banky W, has Ambassador of the Organization today in Abuja. Banky W makes it known to us that he’s not only donating his time, talents, image and platform to raise awareness… He is also contributing my personal finances. Today, I signed on as the Ambassador for pinkoaktrust because I feel like this is one more way that God can use me to provide hope and help to those in need. 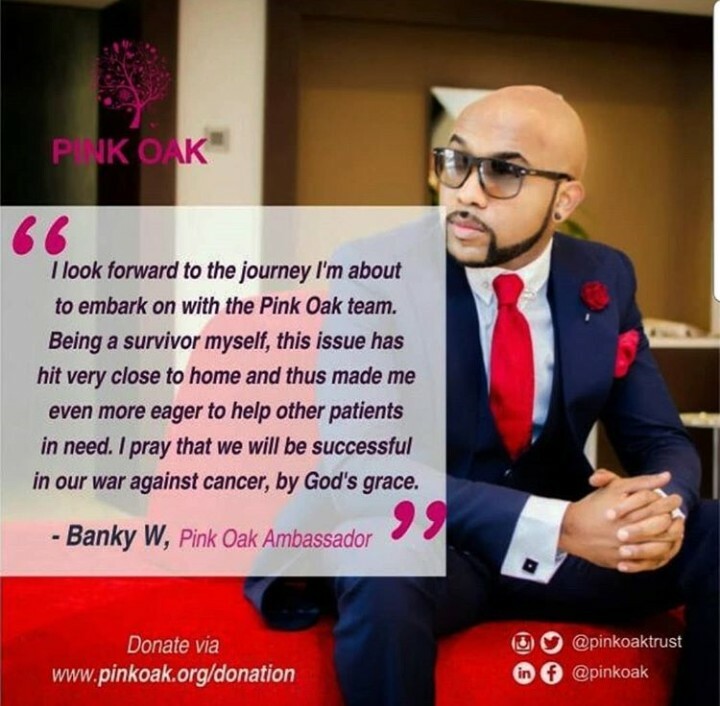 Pink Oak’s mission is to raise as much money as possible, to pay for the treatment of as many Cancer Patients in Nigeria as possible. 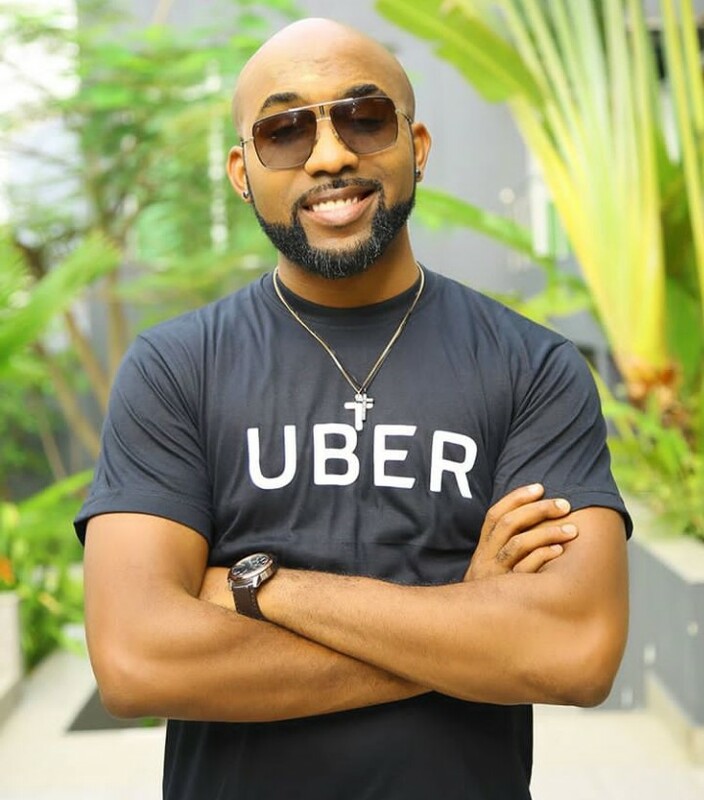 I’m not only donating my time, talents, image and platform to raise awareness… I’m also contributing my personal finances. Many people know about my own battles with Cancer. I’m forever grateful to God that I am alive and well, and that I was able to fund the treatment I needed. Unfortunately, over 90,000 Nigerians die every year due to cancer… simply because they can’t AFFORD to fight. Treatment is expensive and so many people die because they’re just unable to pay for surgery/pills/chemo/etc. That has to change. And the more of us that contribute, the better. It would be great if one person donated 100 mill. But it would be just as great (and even more powerful) if 1 million people gave 100 Naira each. Please join us and by God’s grace, we will be successful in our War Against Cancer. Pls donate by going to www.pinkoak.org/donation and pls spread the word. I have, you should too.